“Early Access gives you the chance to support the development of Virtual-O. You can enjoy hours of game-play on two real orienteering maps. Run prepared courses or make your own with the in-game course builder. You will receive the full game upon release. Be aware that there are still some rough edges and that certain features are missing. Bugs will be fixed, maps and performance will be improved, and new features and improvements will be added regularly during the next months. “The full game will play similarly to the Early Access versions. “The game is fully playable. Players can enjoy hours of game-play on two (now three) real orienteering maps. They can run prepared courses or make their own with the in-game course builder. “The community has been involved already since September 2015 when an article on World of O was published. Your feedback is essential for us to make Virtual-O better. Loading times for map catalog and course replays improved! Building of map/competitions catalog at start of the game was taking longer than it would be nice in last few months. And waiting while course replays wasn't too nice too with increased amount of player replays. So it was just right time for massive optimization. Everything is now parallelized. Time needed for map catalog building or for downloading replays were improved by whole magnitude. Map catalog will be most often be built till you will enter course list. Removed colliders for streamed rocks in Landvetter maps. As it was annoying to avoid them. Please let me know if you will experience some issues. Like loading of replays will get stuck forever or too long etc. 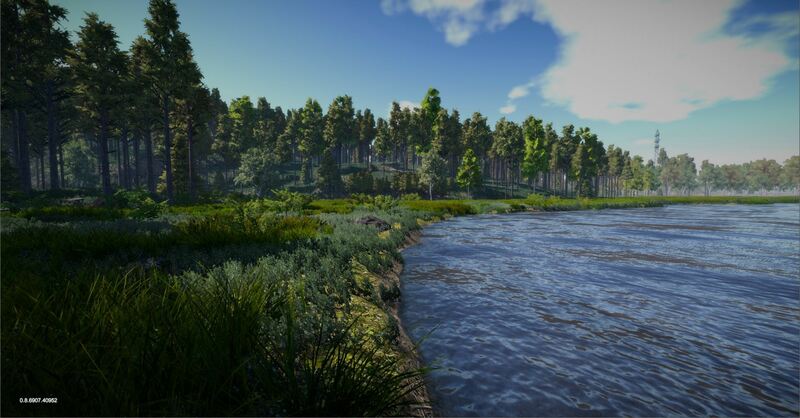 Get Virtual-O with great 50% discount and new Landvetter Landehof map! What could be better gift for all our players than new map! Enjoy it's really nice huge scandinavian map. In addition to all features of the full game when it is released, you will have access to special content available to Early Access owners. Exclusive compass: Enjoy the world of Virtual-O with this virtual copy of Str8 Compass. More to come: On the date of final release any content that is considered exclusive or special will be automatically added to your final game free of charge. Virtual-O is a new game that brings you the adventures of Orienteering without the need of going to faraway places. Nature will be your only enemy as you will try to navigate the Unknown using map and compass. And as you will come to realize, environment itself can be a really formidable opponent on its own. Orienteering is a sport in which the athletes use a map and a compass to navigate between checkpoints - called controls - in diverse and unfamiliar terrain. The history of orienteering began in the late 19th century in Sweden, where it originated from military training. The actual term "orienteering" was first used in 1886 at the Swedish Military Academy Karlberg and referred to the crossing of unknown land with the aid of a map and a compass. As an athlete you must navigate through the entire course from start to finish, visiting all the controls in order. To win, you must successfully decide on the fastest routes between controls, and do so quickly. Choosing an inefficient route can cost you valuable seconds, or even minutes. And you must execute your plan, running through the terrain while using your map reading skills to keep your bearings..
Getting lost in the wilderness can put you in a life threatening situation. Knowing how to navigate with a map and a compass is not only cool; such skills can and often do save lives. All objects in the terrain (trees, bushes, rocks, paths etc.) are generated based on the input orienteering map. All of this results in an astounding amount of detail that corresponds very well to the real world terrain. Orienteering is a wonderful sport. But mastering the required skills is not easy. Virtual-O is prepared to help you. You can start with a tutorial or use the provided system of map assistants that will help you handle the map and keep your bearings while taking your first steps into the world of orienteering. It's a system similar to driving assistants in formula/car simulations. You can disable these when you feel you are ready.